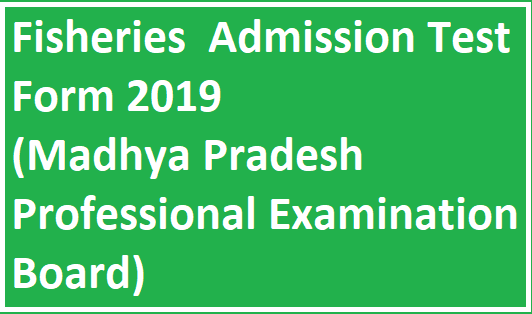 MP Pre Veterinary & Fisheries Admission Test Form 2019 - Government Jobs, Sarkari Naukri, Sarkari Result, Admissions, Rojgar, Exams Alerts. Payment will be made through Net Banking/Debit card/Credit Card/ Kiosk. Candidates who have passed their Intermediate (10+2) level of Examination with Physics, Chemistry, and Biology & English from any recognized board will be eligible for this Entrance Examination. 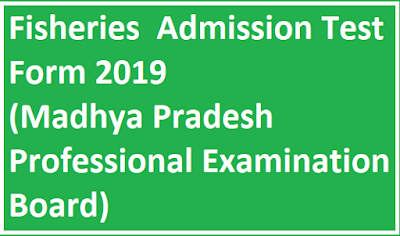 Candidates can apply through link provided below or they can also apply through official site of the MPPEB before 30/April/2019.